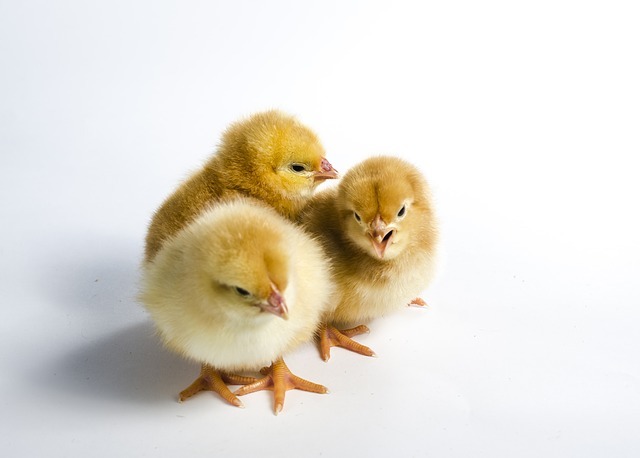 Raising chickens for eggs is relatively easy and you should find the perfect chicken for your particular needs. Also, learning how to care for your chickens will ensure nutritious chicken eggs. 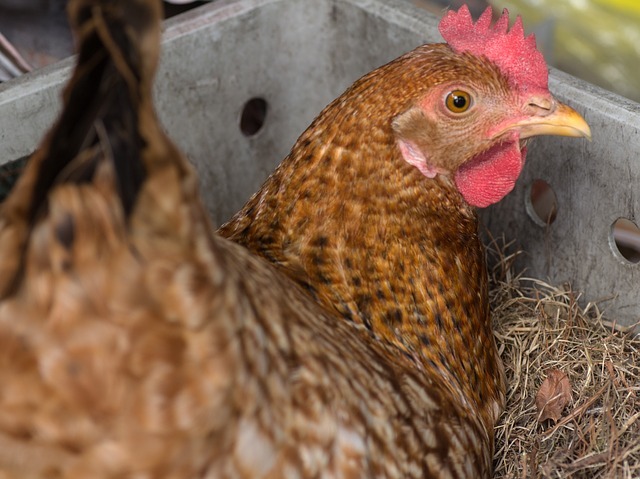 Backyard chickens are becoming a healthy trend that seems to be spreading across the United States as more and more people want to be involved with their food supply. Having your very own supply of chicken eggs is a great reward for raising chickens and chicken houses are pretty easy to make. They can range from small to large - depending on the amount of chickens you plan on raising. Get basic information on raising chicks to get you started on raising the best type of chicken for your farm or family homestead. Also, get basic information on chickens and the 3 different chicken breeds. Learn about some of the best breeds of egg laying chickens and what may be the best chicken for your backyard. You see every breed has a certain personality and traits that may be better suited for your family and your climate. 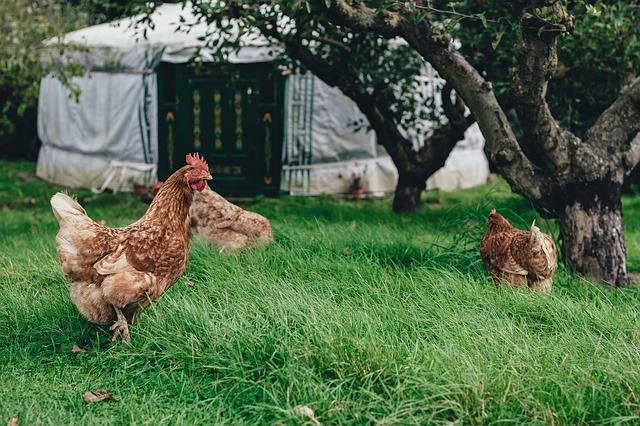 First, you need to determine if your local rules and regulations allow for the raising of backyard chickens on your property. There are many designs to choose from and you will have to decide which is best for your particular living environment. Chicken houses can come in many sizes and shapes. They also can be built from various materials or made from what you have lying around your property. 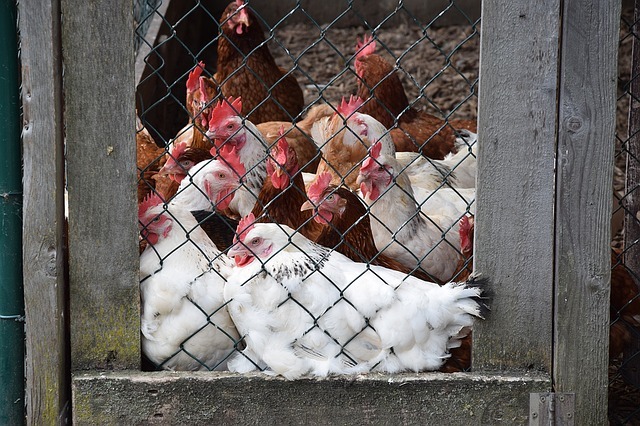 Basically, a chicken house should be big enough for the amount of chickens you are housing as well as provide nesting boxes, water, extra feed, and a roosting bar for chickens to sleep on at night. There also must be ample ventilation or insulation as well as enough light which is very important to the continuous laying of eggs. And it must also be secure enough to keep out predators that might try to invade when you're not looking. 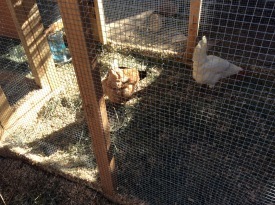 Building a chicken coop for chickens can be made really simple and even portable. Get some design ideas for your urban or backyard chickens. Although chickens can live for a pretty long time, they produce the most chicken eggs during the first few years of their life. All chickens or hens lay eggs, but some breeds are better egg layers than others. And certain chicken breeds lay white eggs, others lay brown, cream, pink, and still others lay green or blue colored eggs. Once you experience fresh farm eggs that have come from chickens that are allowed to roam freely in pasture, you'll never want to buy those "commercial" eggs again! What makes a big difference in the quality of chicken eggs is the type of food your chickens eat and the amount of sunshine they will receive. And depending on whether you have a rooster hanging around your hens, you'll have fertilized eggs that you can consume or hatch into chicks. 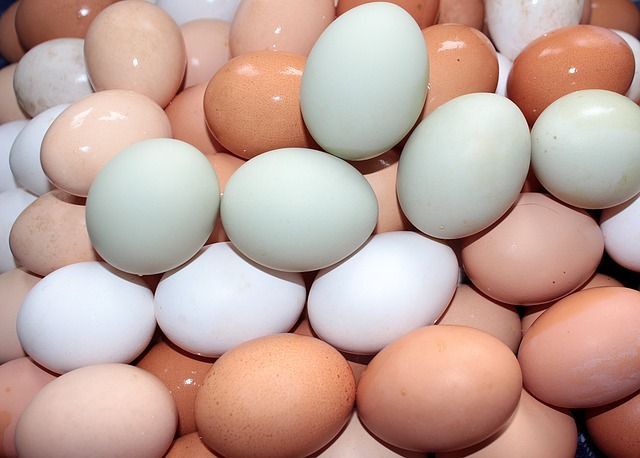 Find out what the best types of eggs really are and find out what chickens lay pink, chocolate, green, and blue colored eggs. 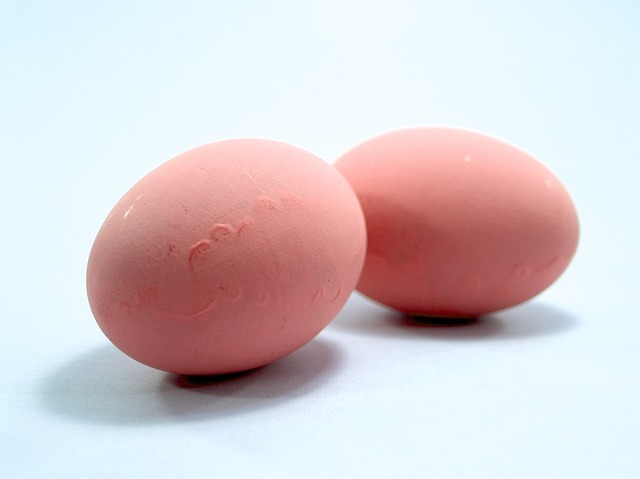 Also, get some information on storing your fresh chicken eggs. In general, chickens can find their own food - as long as they are given enough access to the outdoors to forage for food like greens and bugs. Chickens are omnivores like pigs and humans. And they can eat just about anything. However, that doesn't mean that you should feed them - just anything! And by the way, chickens are not vegetarians!! I cannot stress this enough. In fact, my chickens loved eating animal foods just as much as I do! Some people choose to feed their chickens leftovers along with chicken feed and chicken scratch to help supplement their foraging. However, raising chickens does not need to involve commercial "feed" and you can learn to feed your chickens for almost free! 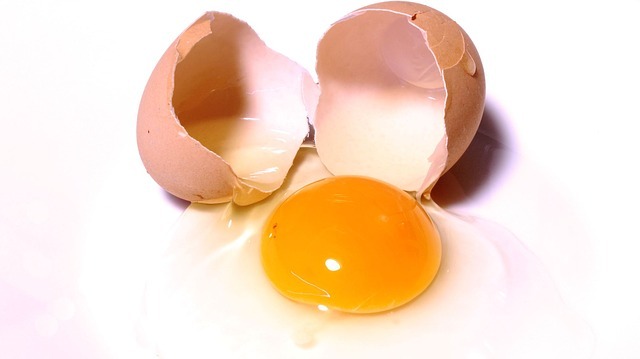 When chickens are fed a nutritious diet, their egg yolks will be a dark orange color and will be full of nutrition. 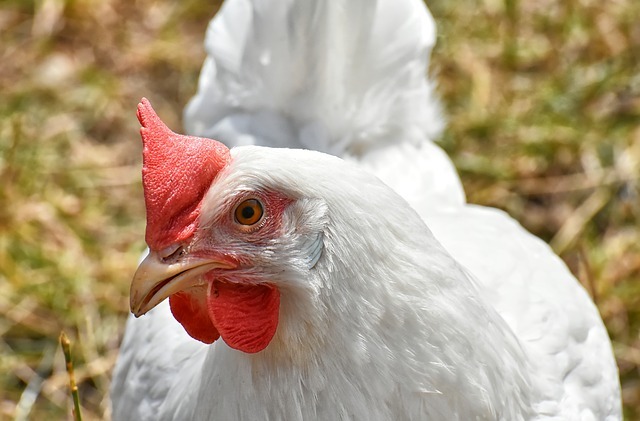 Learn about what chickens can and will eat along with tips on what you should feed your chickens to get really tasty and healthy eggs.